Going on vacation? Let your dog have their own vacation at "The Fur Seasons"! 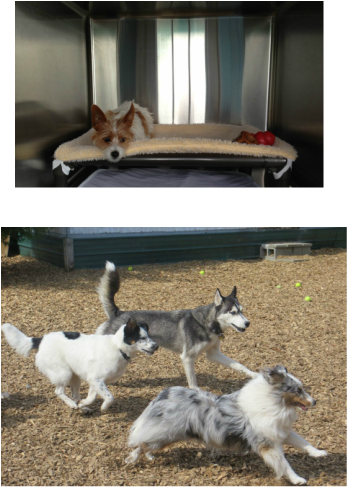 Dogs spend all day playing in the groups and having a blast with the other dogs. At night they fall asleep on a cushy blankets in kennels. Accommodations offer temperature control, soothing music and optional added mental stimulation. Need Food? $1 per cup of high quality Camp Canine Food! Ask us for details! 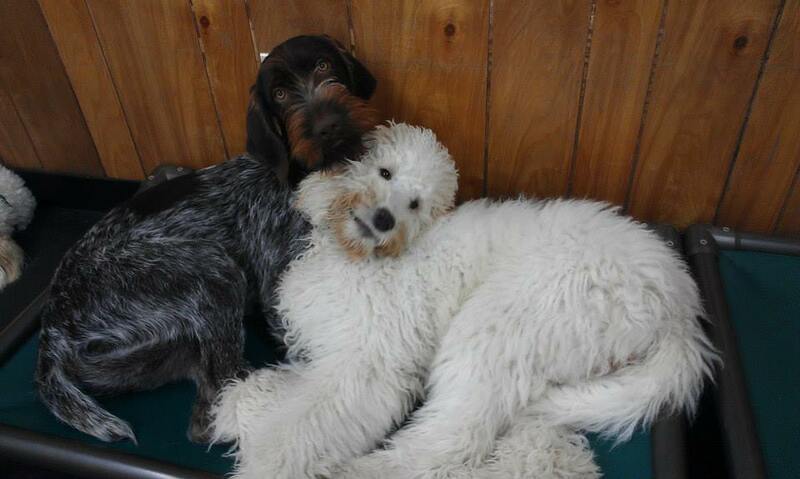 Daycare is a separate charge and is required for all dogs who are boarding. Perfect for the longer stay or frequent "weekender" stays throughout the year! Here is our boarding agreement for your convenience!